Look for Katy Hobgood Ray and the Confetti Park Players in the October 2016 issue of NOLA Family! 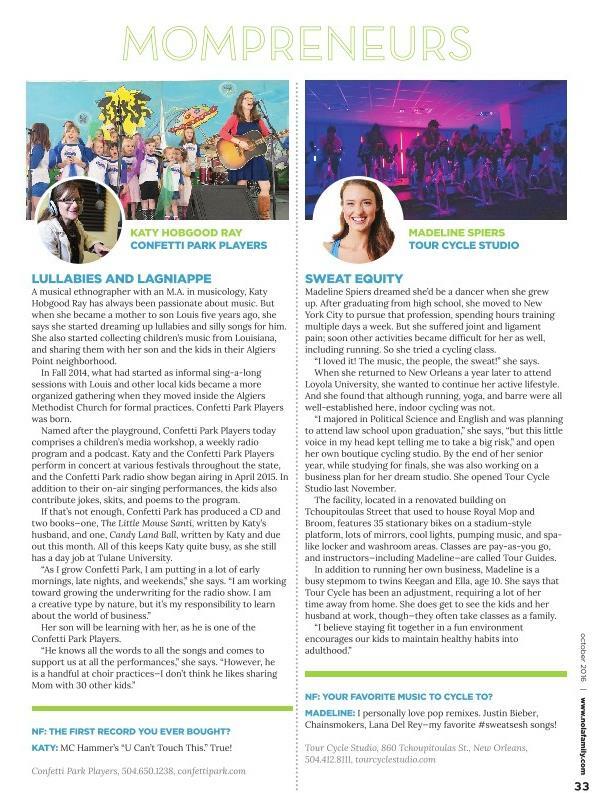 Katy is featured as a New Orleans Mompreneur in an article titled “Lullabies And Lagniappe” for her work as director of the choir and as a radio host/producer and book publisher. The article talks about how becoming a mom to son Louis in 2011 and being part of a neighborhood community full of children developed her interest in children’s music and literature. Katy started collecting songs and folktales from around Louisiana(she has an MA in musicology) and parlayed that interest into a radio show. The article also talks about the beginnings of the Confetti Park Players. 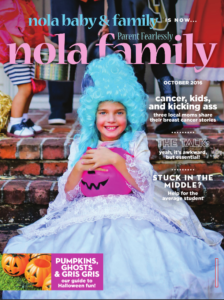 Thank you for the lovely feature, NOLA Family!